Lobbyists for Christians in the Middle East are used to getting a cold shoulder from Washington, but Vice President Mike Pence told those gathered in Washington Wednesday for the In Defense of Christians (IDC) summit that things were changing. Pence contrasted the Trump administration's attitude toward Christians with its predecessor by using the term "radical Islamic terrorism" to describe those attacking Christians. Protecting Middle East Christians will be a priority for the Trump administration in the post-ISIS caliphate era, Pence said. "That's why under President Donald Trump, we're taking the fight to the terrorists on our terms on their soil," Pence said. "We will not rest until we hunt down ISIS and destroy it at its source, so that it can no longer threaten our people or anyone who calls the Middle East home." The U.S. would not ignore the pleas of genocide victims, he said, promising that USAID, instead of the United Nations, would take direct charge of providing aid to Christians and other religious minorities. IDC lobbied for years to get USAID to distribute aid instead of the U.N., which it and others believe has performed poorly. Members of Congress from both parties likewise pledged overarching support for Mideast Christians at Capitol Hill breakfast and lunch sessions Thursday where In Defense of Christians supporters from across the country and Patriarch Bechara Boutros Rai, head of Lebanon's influential Maronite Catholic Church, heard them speak. The collapse of the ISIS caliphate isn't the end of the peril Christians face because the group continues to be a problem in Egypt and Africa. It also is in the process of morphing back into a guerilla group in Iraq and Syria, which poses a continuing threat to Christians. Iran also looms large in the background as a threat to Christian populations. Throughout the conference, speakers complained about the West's indifference to the plight of Christian minorities in the Middle East. Pence's commitment "was the biggest statement on record in history in terms of a statement of both support and concrete policies to be directed toward helping Christian communities," IDC vice president and senior adviser Andrew Doran told The Investigative Project on Terrorism. "It will have to be followed up with many, many substantive policy changes." Negative attitudes toward Christians in the U.S. and in the Middle East hamper such work, he said. In some cases, attitudes about gay rights or past evils done in the name of Christianity by Western groups have caused many American Christians to deem Mideast Christians unworthy of protection, said Mark Tooley, president of the Institute on Religion and Democracy. "They conceive of Christians as only the persecutors, never the persecuted; they want to apologize for the Crusades or imperialism," Tooley said. "Even if they acknowledge there are persecuted Christians around the world, they surmise that Christianity is too compromised to merit sympathy, much less advocacy." This position exists although Mideast Christians have a different history, suffering centuries of oppression under Muslim rule. They also were victimized by Western Crusaders who regarded them as heretics. Western inaction has contributed to the loss of half of Syria's prewar Christian population. In 2003, 1.5 million Christians lived in Iraq. Today that number is over just more than 200,000. Persecution of Copts in Egypt by ISIS and Islamic extremism in broader Egyptian society also have triggered an exodus that Coptic Orphans co-founder Nermien Riad said could lead to millions of Copts leaving Egypt over the next 50 years. Previous efforts to get the West to take up the cause of Mideast Christians have "fallen on deaf ears," Patriarch Bechara Boutros Rai said. "People don't give enough value to Christians in the Middle East," he said. His colleague, Patriarch John X, head of the Damascus-based Greek Orthodox Patriarchate of Antioch, called on the U.S. to push for peace in Lebanon, Syria, Iraq and throughout the rest of the region. "Christians in the Middle East are going to stay there because we were born there as God wished, and in the end, we will die there," John X said, recalling the 2013 jihadist kidnapping of two Orthodox bishops in Aleppo, one of whom was his brother. Sometimes, several speakers Thursday said, policymakers have difficulty understanding how helping Christians across the Middle East, from Egypt to Iraq, was vital to U.S. national interests. This particularly comes into play getting past Turkey's opposition to any U.S. recognition of the Ottoman genocide of Armenians, Assyrians and Greeks during World War I. "It is clear that the policy is set in Ankara and not in Washington," said Aram Hamparian, executive director of the Armenian National Committee of America. Hamparian was among those physically attacked by Turkish President Recep Tayyip Erdogan's bodyguards in May while they peacefully protested outside the Turkish ambassador's residence in Washington. He recalled that Turkey stood with the bodyguards against him and the other protesters and treated them as victims. "Factors like this should inform our alliances," Hamparian said, noting that America's NATO commitments with Turkey were important to U.S. policymakers. "There should also be an accountability element." Christians in the Middle East help to moderate their Muslim neighbors, summit speakers said, and it is in America's interest to encourage religious pluralism of the sort that exists in Lebanon. "A region without Christians is more extreme and dangerous," Rai said. He joined many other speakers who argued that Middle East Christians were among the best educated people in the region and that the Christian faith's emphasis of loving one's enemies moderated their Muslim neighbors. Lebanon, where Christians, Sunnis, Shias and Druze have lived together in relative harmony since the end of the Lebanese Civil War in 1990, was presented as an example for the rest of the Middle East. Speakers expressed alarm at the threat to the country's delicate religious balance they see posed by the 1.5 million mostly Sunni Muslim Syrian refugees in Lebanon. Many of Rai's generation have bitter memories of their country's civil war, which they say was triggered by half a million Palestinians moving into Lebanon in the 1960s and 70s. They worry that the Syrian refugees put an incredible economic strain on Lebanon's scarce resources that could reignite the conflict. Iran remains an unpredictable wild card for Christians from Lebanon to Iraq. Tehran, not Lebanese politics regarding Syrian refugees, could lead to the next war there, warned Alberto Fernandez, who served as coordinator for Strategic Counterterrorism Communications at the State Department in the Obama administration. If Hizballah attacks Israel under orders from its Iranian masters, the resulting disaster would send the region "to hell." In Iraq, recently-liberated Christians face threats from Iranian-controlled militias. 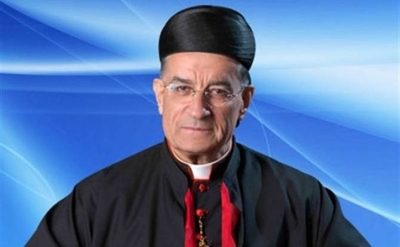 Hundreds of Christians living in the northern Iraqi village of Tel Skuf were driven out after being by shelled by the militia on Tuesday, said Loay Mikael, head of the Foreign Relations Committee of the Chaldean Syriac Assyrian Popular Council. Tel Skuf was rebuilt after ISIS left with help from the Hungarian government. Now the challenge remains to end the wars and make it possible for the Christians to return home.